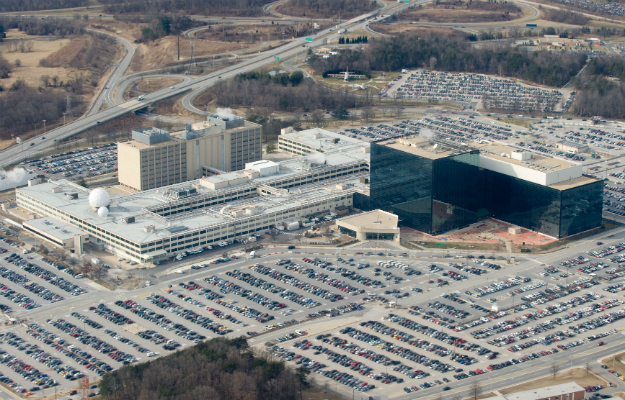 Aerial view of the National Security Agency, also headquarters for U.S. Cyber Command. Credit: National Security Agency. This post can also be found on ForeignPolicy.com. 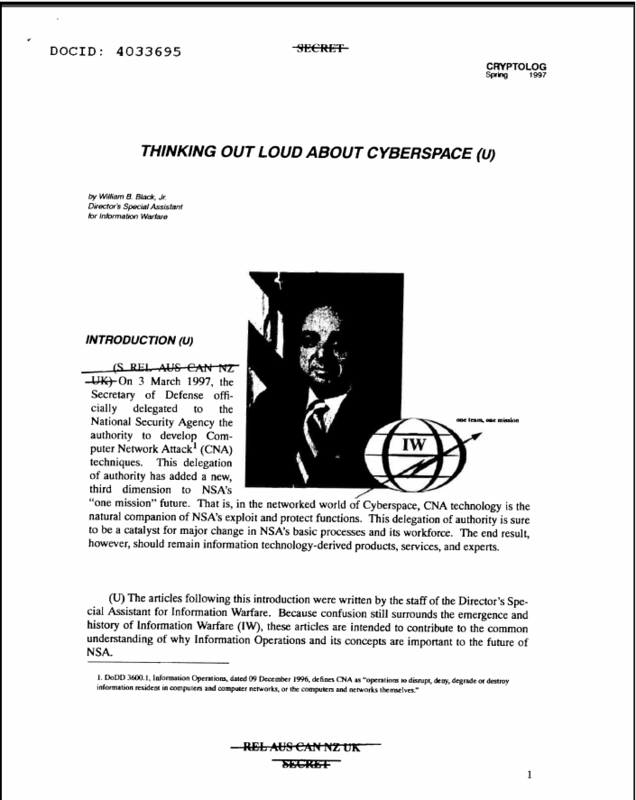 This short item from a classified NSA publication reveals that as far back as 1997 the super-secret agency was tasked with finding ways not just to listen in on our enemies (the NSA’s usual stock-in-trade), but actually to attack hostile computer networks. The document proclaimed that “the future of warfare is warfare in cyberspace,” and it sketched out how tomorrow’s “Information Warriors” would think, act, and fight on the new digital battlefield. The NSA’s involvement in cybersecurity is an outgrowth of its longtime role in ensuring communications and information security for various components of the government and private sector, in addition to its need to guarantee the security of the computers it has relied on heavily for decades. Its role in computer-network exploitation — of gathering electronic “data at rest” — is a natural extension of its decades-old role of gathering “data in motion” via signals intelligence. By all accounts, we’re now seeing signs of that new-age approach, although whether its repercussions will be entirely non-lethal remains to be determined.